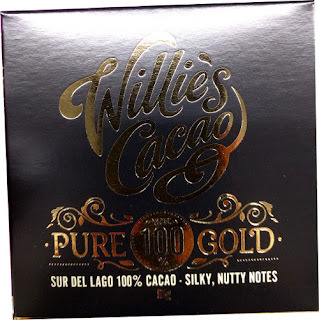 This post is a slight deviation away from my usual foodie reviews, but is still very much connected to health and food. Quite recently a new testing kit for fracture risk became available for people to use at home. A common cause of easily broken bones or fractures is due to osteoporosis. This is a horrendous disease which usually goes completely unnoticed until someone breaks a bone. As such it is called the ‘silent disease’ and the only way to tell whether you have thinning bones is to have a Dexa scan. I’m someone who loves to know as much as possible about my health and what’s going on inside my body so I was intrigued to see how it worked and what the results would be. These days we’re lucky in that there are various ways and means of undergoing health checks in the comfort and privacy of our own homes. For example, you can test vitamin D levels by providing a few drops of blood onto a card and posting it off. Or you can purchase self testing kits for home use including measuring your glucose levels and testing blood pressure. Without these we would have no idea what’s going inside us unless we went to the doctor. The main way of diagnosing osteoporosis is to have a dexa scan. However, due to the expense, this is only routinely offered to women aged 65+, men 75+ or those who meet the criteria for a scan. This new test by Osentia is one of the simplest home self-testing kits you could wish for. It’s totally painless. All you need to do is cut off a small piece of finger nail or toe nail (if you don’t want to ruin your manicure), pop it into the enclosed plastic bag, and post in the prepaid envelope. You also fill in a questionnaire about your health, diet and lifestyle. A few days later your results arrive by email (if you prefer) with a prediction of your fracture risk. 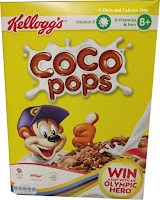 I was diagnosed with osteoporosis and have been on medication for a few years. These days I have greatly reduced my meds and am treating myself with specific exercise and targeted supplements. Since I'm a qualified nutritional therapist and have researched the subject at great length for projects, I am keen to know how well I'm responding to my own advice! Recently I underwent a private test to see whether I'm still losing bone faster than creating new bone and fortunately it showed my bone turnover rate was perfectly normal which was a great sign. I was interested to see whether the Osentia test would reveal any further information about my fracture risk. 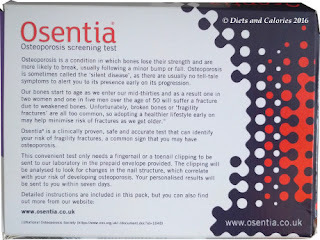 “Millions of Brits will be able to check their risk of developing osteoporosis with Osentia® Osteoporosis screening test, a new clinically-proven[i-vi], safe and accurate at-home test that is available for the first time exclusively in the UK from Superdrug.com. After filling out the form and posting it together with the nail clipping, the results were emailed back just 3 days later. 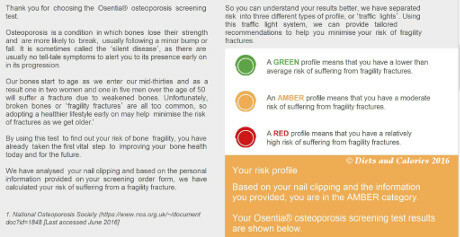 They provide a graph showing your risk factor of suffering from a fractured bone for your age as well as a green, amber or red profile indicating how likely you are to suffer from a fracture based on the nail clipping and information provided. They also send an e-booklet which provides self-help information on risk factors for developing osteoporosis as well as diet and lifestyle advice on how to reduce your risk of developing osteoporosis. I found the results interesting and was pleased to notice that the result wasn’t in the red – high risk of fracture. However, the questionnaire asks whether you have been diagnosed with osteoporosis and in my case, the answer was yes. I wondered whether this swayed the results at all. I’d be really interested to undergo another test but this time not ticking yes box for osteoporosis, then seeing whether the results differ much. Either way, I think this is a useful kit for home use if you have any concerns about osteoporosis. It can be difficult getting a dexa scan so having results from a test like this may help persuade doctors to undertake further investigations such as a dexa scan. 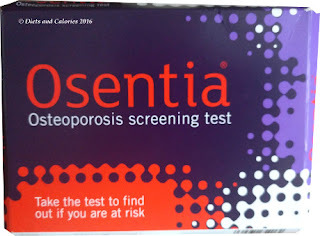 The Osentia osteoporosis testing kit is available excusively from Superdrug – www.superdrug.com or directly from Osentia at www.osentia.co.uk at a cost of £39.99. Osentia® is a clinically proven osteoporosis screening test that has been compared against both the dual-energy X-ray absorptiometry (DXA) bone scan and the Fracture Risk Assessment Tool (FRAX®) diagnostic tool in a clinical trial of over 600 patients. The Fracture Risk Assessment Nail Correlation (FRAN), cross sectional study shows that the Osentia® screening test performed better and is more effective than the currently used NHS DXA standard for diagnosing osteoporosis. Osentia® provided a clear improvement over and above DXA and FRAX for determining relative risk of fracture (p-value=0.009).A number of studies have investigated the use of Raman Spectroscopy for probing nail composition and structure, including analysing hydration levels, comparing finger and toe nails, comparing relating the structure and composition of keratins in nail and to other keratotic tissues and in analysing nails and claws from different species. “There are a number of stories in the media today about the availability of an osteoporosis home screening test called Osentia. Reacting to the availability of the new test, the National Osteoporosis Society's Clinical and Operations Director Fizz Thompson said: "The charity welcomes innovation in the field of osteoporosis and any product that can help to raise awareness of the impact that fractures can have on people’s lives is a useful addition to current practice. 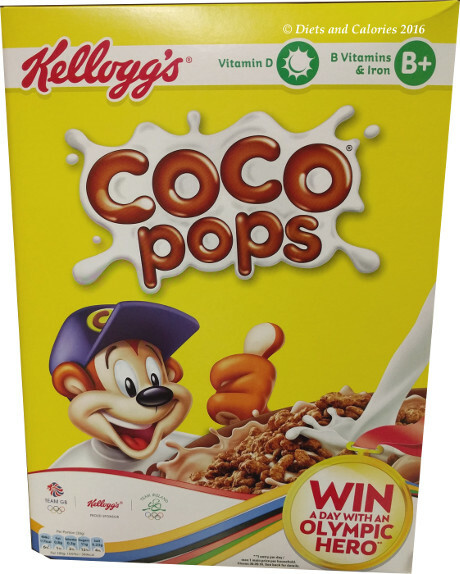 "However, we believe there is not enough evidence at this time to show that this new technology is as accurate as visiting your GP, having a discussion about risk factors and being referred for a DXA scan if appropriate. "As innovative as it is, it is too early to tell whether this new product can accurately identify people’s risk of breaking a bone as there are only small published clinical studies with fairly limited samples of people. "We await further clinical trials and will watch with interest as more in-depth results are published." You can also contact our Helpline on 0808 800 0035 or nurses@nos.org.uk. The Osentia Osteoporosis Screening Test is available exclusively at Superdrug and directly from the Osentia website, at a cost of £39.99. I was sent one test kit for reviewing purposes.